The Seven Celled START Main seven celled Table of orders consists of three levels, which includes 7 orders of the buyers. The levels are arranged from top to bottom. Placement of customer orders starts from left to right, also taking into consideration the recommendations made. As soon as the first level of Table of orders fills up with 4 more new orders, the buyer's order moves down to the 3rd level. 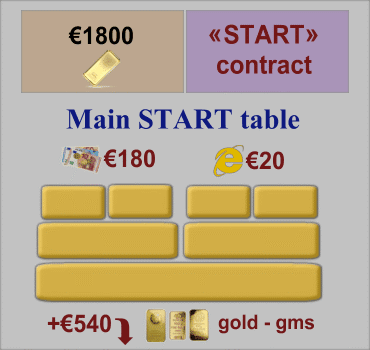 At the following table division, the buyer's order is charged with Credit bonuses, which can be used only for buying investment gold. The order of the buyer automatically passes to the second cycle and upon termination of the second cycle Credit bonuses are charged again. The order of the buyer automatically passes to the third cycle and upon termination of the third cycle Credit bonuses are charged again and the Order is terminated. The order of the buyer, for its full execution, should pass a minimum of three cycles of the START seven celled Main Table of orders. Upon termination of the first and the second cycle the buyer's Order is charged with bonus compensation at the rate of 540 Credit bonuses, out of which the processing fee (10%) 54 Credit bonuses are deducted. Investment gold bars are bought for the remaining 486 Credit bonuses. Upon termination of the third cycle the buyer's Order is charged with bonus compensation at the rate of 720 Credit bonuses, out of which the processing fee (10%) 72 Credit bonuses are deducted. Investment gold bars are bought for the remaining 648 Credit bonuses. On termination of the Order, the Buyer can issue a new Order on the previous table of orders, by reinvesting 200 credit bonuses. 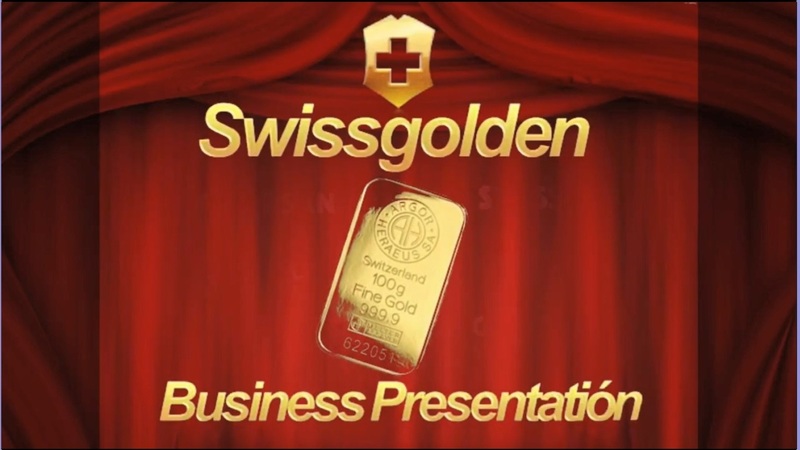 Bars of investment gold that are bought for the charged Credit bonuses can be delivered to the order's Owner by insured mail, received by owner at one of our official Storages or the Owner can sell the gold back to the company.